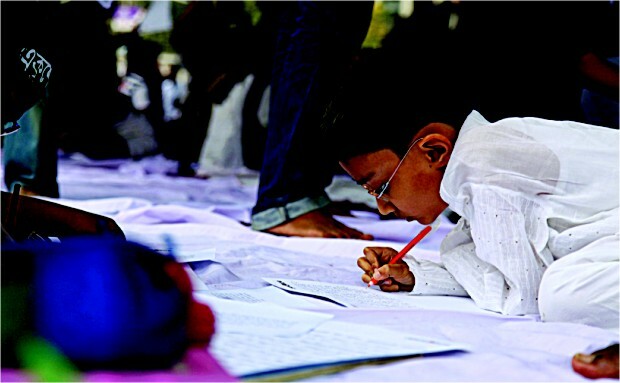 The youth in Bangladesh are becoming more and more visible and involved in bringing positive social changes. Young people, mostly students have taken initiatives to open a bunch of humanitarian and leadership organisations. With such youth based organisations, one can expect young people to aspire and do something meaningful for society. It could be anything ranging from bringing a smile on a kid's face or planting a plant to providing the underprivileged with education and support. Some of the organisations that are in the scene are One degree initiative, CommunityAction, Jaago and so many more. All these organisations are working to improve education, alleviate poverty, develop leadership skills among young people, provide educational and health counseling and so much more. The thing that is common among the people involved with these organisations is the sense of compassion and dedication that they want to use to bring positive changes in society. The vision of One degree initiative is to provide young people with a creative platform where they can voice their thoughts and have freedom of speech. “We want to create a world where the youth can transform their ideas into action”, says Sabhanaz Rashid Diya, founder and general secretary of One Degree Initiative. One of the core values of One Degree Initiative is to provide children with mentorship when it comes to education. One degree members have already shown integrity through programmes like “Haate ghori” (mobile school for children) and “Shor-e-a” (rural academic program), which dealt with important matters like teenage leadership and academic counseling in rural areas. Korvi Raskshand, the founder of Jaago identifies Jaago as a movement and not an organisation by youth. The purpose of this 'movement' is to eradicate poverty from Bangladesh. “People call it charity, I call it responsibility”, says Korvi Rakshand, regarding people's social responsibility and involvement. Jaago has opened schools that provide underprivileged children with free education. One of its latest programmes is “Volunteer Bangladesh”, where young people will be encouraged to identify local problems and come up with solutions. “Youth in this country make up eighty percent of the population. We want to turn their energy into positive force”, says Korvi Rakshand. Courtesy: One Degree Initiative . CommunityAction is another youth organisation that has initiated many humanitarian projects in the country to help the underprivileged. The members in this organisation are addressed as Actioneers. “Actioneers are greater than action”, says Nabila Idris, founder president of CommunityAction. Just focusing on one problem and dealing with it does not mean that one has fulfilled his/her social responsibility. One has to have the desire to persistently do something productive for society. “To change society we need educated, trained, honest people. These enthusiastic actioneers get that training here. They can use the training to keep doing good work for society”, says Nabila Idris. With passion in their heart, young people are stepping ahead to bring positive changes in society. The organisations are doing a great deal to guide young people and to make our country a safe, just and beautiful place. More and more young people are becoming interested in community service and humanitarian activities when they hear about these organisations and when they see their friends taking part to bring changes in society. Young people are becoming more confident and courageous to express their desire to help others.